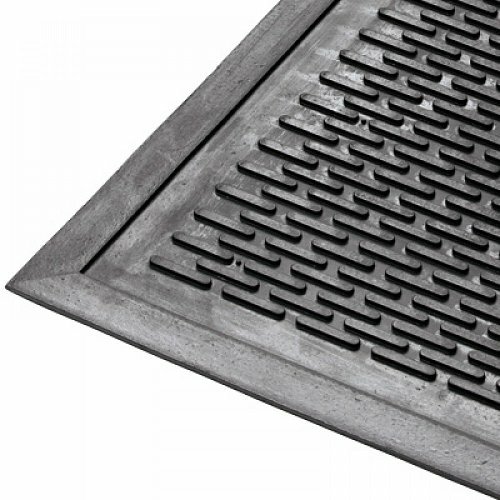 Raised "cleats" surface pattern - offers good slip resistance, allows 'scraping' & wiping footwear. Low height, minimizes trip hazards. Light and easy - easy to remove and clean. Black natural rubber, maintains functionality much longer than other options. 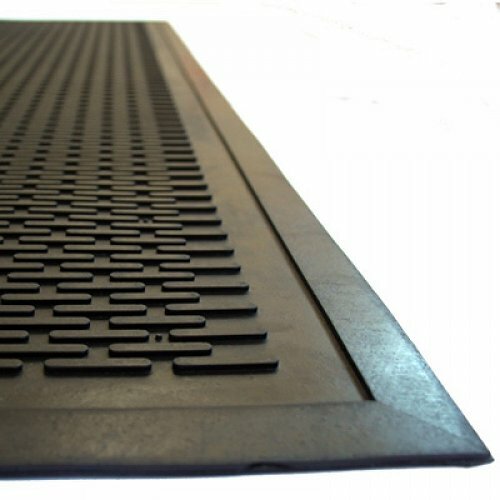 Highly durable for out door use – 2 Year warranty. 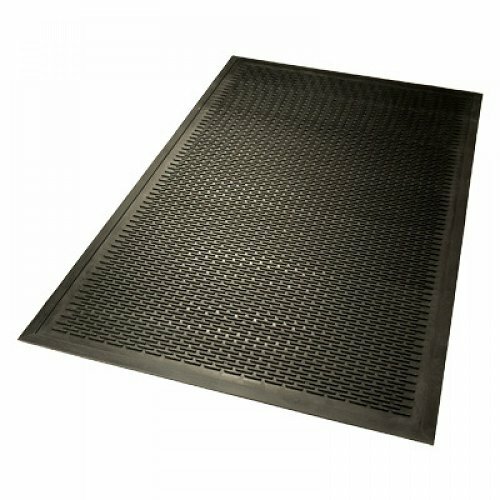 Economical option compared to other out door mats.